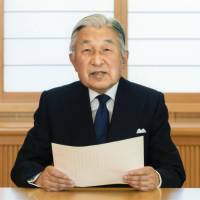 A government advisory panel outlined Thursday its final proposals on Emperor Akihito’s abdication, including what status and treatment he should be given after becoming the first living emperor to relinquish the Chrysanthemum Throne in around 200 years. The panel is expected to finalize a report containing the proposals at its next meeting on April 21 for submission to Prime Minister Shinzo Abe. The proposals are expected to serve as the basis of a bill the government plans to submit to the current Diet session, probably after the Golden Week holidays end in early May, to realize the 83-year-old Emperor’s retirement. After discussing matters related to the abdication with experts in various fields such as history and law, panel members have come to share the view that the Emperor should be treated in the same manner as if he was a sitting emperor for occasions such as a funeral and building a mausoleum. Currently, the Imperial House Law that sets out rules for Imperial affairs contains no stipulations covering the title and honorific title for an abdicated emperor, or on whether he should receive same treatment as a sitting emperor. “We have reached an agreement on a draft framework of our final proposals at today’s meeting,” panel member Takashi Mikuriya, a University of Tokyo professor emeritus, said at a press conference, adding that a final report will be prepared and go through a check by panel members at its next meeting. The panel has also discussed what title should be given to Prince Akishino, who will become the first in line to the throne after the Emperor hands over the throne to Crown Prince Naruhito, as well as how he should be treated as the younger brother of the envisioned emperor. For Prince Akishino, the title of Akishinonomiya Koshi and the honorific title of denkta, meaning “highness,” are expected to be proposed. “Koshi” means the one who is first in line to the throne. The panel is also expected to propose stipulations to increase the annual budget allocation for living expenses of the prince’s family to the level received by the Crown Prince, which is ¥324 million ($3 million) in fiscal 2017. Currently, the budgeted allowance for Prince Akishino is ¥67.1 million. 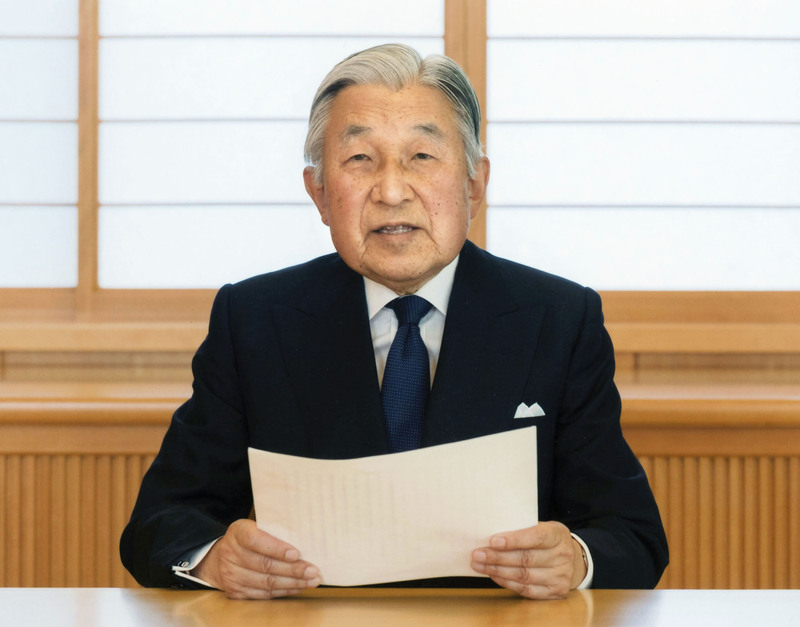 How to legalize the Emperor’s abdication has been debated by the panel chaired by Takashi Imai, honorary chairman of Keidanren, as only posthumous succession is allowed currently, because the Imperial House Law lacks a provision regarding abdications. While the timing of the abdication has not been formally decided, the government is considering December 2018, apparently having in mind the Emperor’s 85th birthday on Dec. 23 that year, government sources have said.